This print is based on a 10 foot tall sculpture made of naturally oxidizing iron, which was erected in January of 2018 in Sidney, BC. 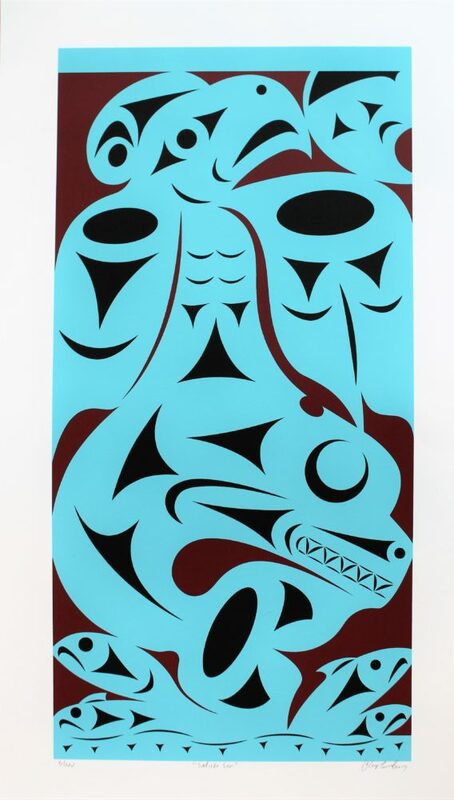 It features the Thunderbird in the Salish sky, standing on an Orca whale with salmon and herring underneath. The sculpture and print highlight the important cultural connections the Coast Salish have with the sea. 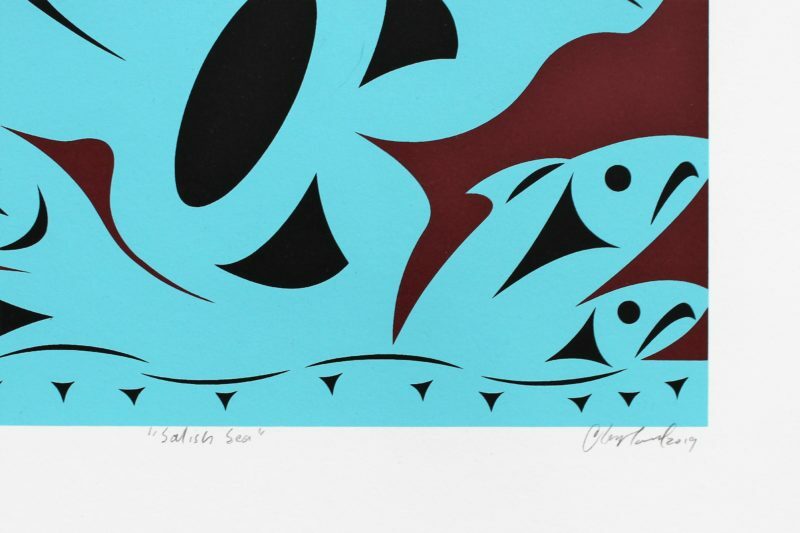 This limited edition silkscreen print titled "Salish Sea" by Chris Paul was hand produced by the screen printing process. It is the only limited edition printing of this design. The artist has inspected and signed each copy in the edition. All trial copies of this edition have been destroyed and the printing stencils obliterated.